Pondicherry Institute of Medical Sciences has issued the Notification for admission to B.Sc Nursing, P.B.B.Sc Nursing, M.Sc Nursing & Ph.D Nursing for the Academic Year 2018-2019. Candidates are required to fill an application form and Send it along with Prescribed Application fee Mentioned below. Get all details like Application form, eligibility criteria from the article below. 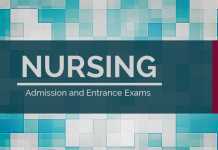 Latest: Ph.D (Nursing) Selection list waitlist of candidates has been released. Scroll down to check the same. PIMS invites application from candidates seeking admission to B.Sc Nursing, P.B.B.Sc Nursing, M.Sc Nursing & Ph.D Nursing for the Academic Year 2018-2019. All the candidates can fill their Application Form online from the official website or from the link given below. Candidates will be selected on the basis of merit of the Entrance Examination held by University or Competent Authority. Pondicherry Institute of Medical Sciences has released the PIMSMMM 2018 selection list and the waitlist on the official website. Candidates can also check it through the link provided below. Result: Click here to check PhD (Nursing) Result. The application process for PIMSMMM Admission 2018 has been started candidates who want to B.Sc Nursing, P.B.B.Sc Nursing, M.Sc Nursing & Ph.D Nursing for the Academic Year 2018-2019 are required to fillthe application form. Candidates are advised to check Eligibility Criteria before applying. Direct link to download Application form is given below. Download Application Form – Process is Over…!!! Application Fee: Duly filled in Application should be submitted along with the DD for Rs. 1,000/- drawn in favor of Pondicherry Institute of Medical Sciences payable at Puducherry. Completed 2 years intermediate/HSC or equivalent course thereof, with subjects viz. English, Physics, Chemistry and Biology from a recognized Indian University or equivalent. Secured minimum of 50% aggregate marks in science subjects. Completed 17 years of age as on September 30. Obtained a certificate in General Nursing and Midwifery and registered as Nurse & Midwife with State Nursing Council. A male trained before the implementation of the new integrated course registered as an A grade Nurse with State Nursing Council, shall produce the evidence of training approved by Indian Nursing Council for a similar duration in lieu of Midwifery. Undergone B.Sc. Nursing / Post Basic B.Sc. Nursing in an institution which is recognised by Indian Nursing Council with minimum of 55% aggregate marks. 5% relaxation of marks for SC/ ST candidates may be given in accordance with INC norms. Registered Nurse and Midwife or equivalent with any State Nursing Council. Candidates Who have Submitted the hard copy of application form along with all required documents will be issued aaHall ticket attached at the end of application form after the assigning Application no . Candidates are advised to carry Hall ticket to the Examination hall as an entry to the test centre will done after the verification of hall ticket. Examination Venue and time are given below. Selection of the candidates are based on the merit of the Entrance Examination held by University or Competent Authority. Admissions are done through Registrar office Pondicherry Institute of Medical Sciences, Puducherry. Enquiries can also be made at College of Nursing. Applications can be downloaded from website. For Complete Details Regarding PIMSMMM Admission 2018 – Download Information Brochure.